Today is the first day of the month of October. And I'm glad to announced to everyone that we have a long weekend ahead, why? because on Monday, October 6, 2014, Malacañang declared that day as a regular holiday nationwide. Under Proclamation No. 875, s. 2014, stated that on October 6, Monday is the day of observance of Eidul Adha, the 'Feast of Sacrifice,' and one of the two greatest feast of Islam. The National Commission on Muslim Filipinos recommendations of the day of festival was based on the Saudi Arabia's highest religious body declaration. So if you like to take this opportunity to plan your long weekend vacation, do it now! The declaration of regular holiday was signed by President Benigno S. Aquino III in the City of Manila on September 12, 2014. 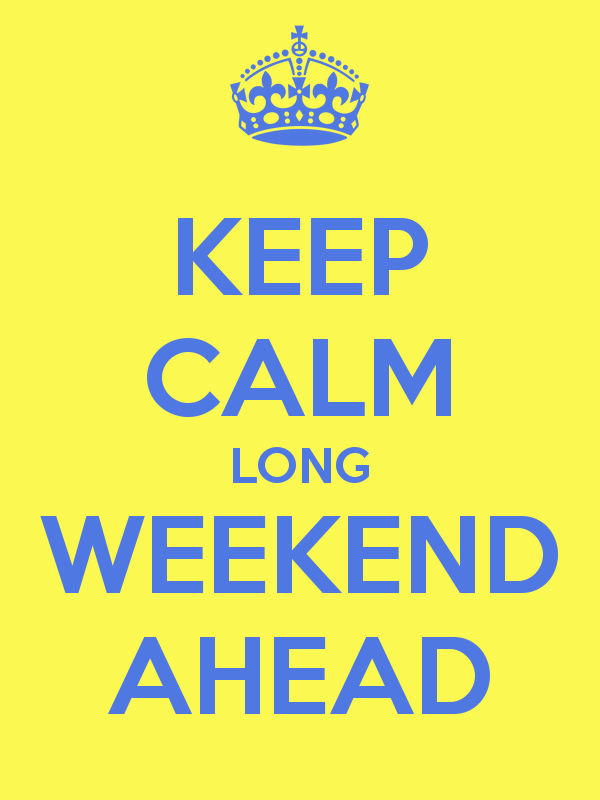 For more Long Weekend related information, kindly bookmark this page and share to your joined social networking sites. Comments or suggestions about "Long Weekend Ahead, October 6 Monday #walangpasok " is important to us, you may share it by using the comment box below.